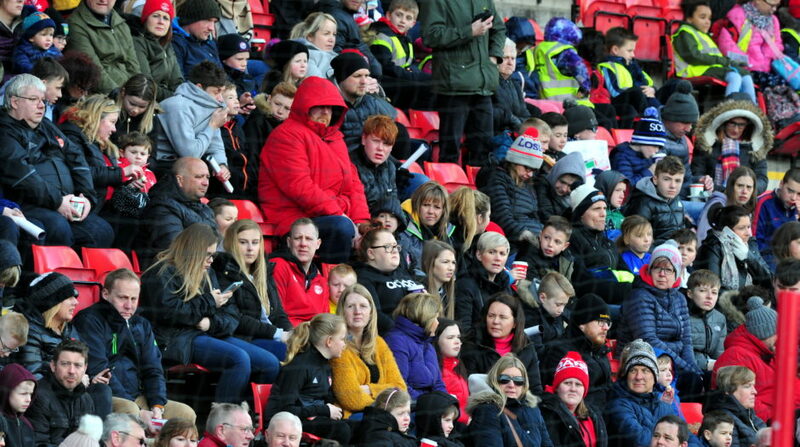 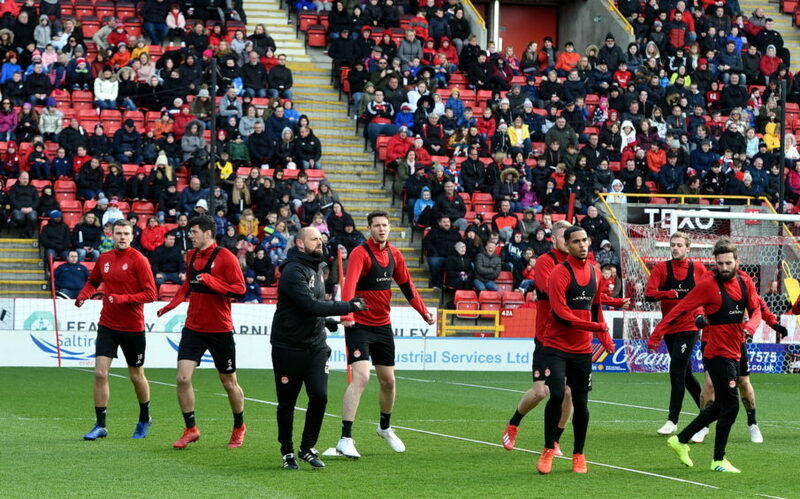 Aberdeen fans got the chance to watch their heroes being put through their paces today at Pittodrie. 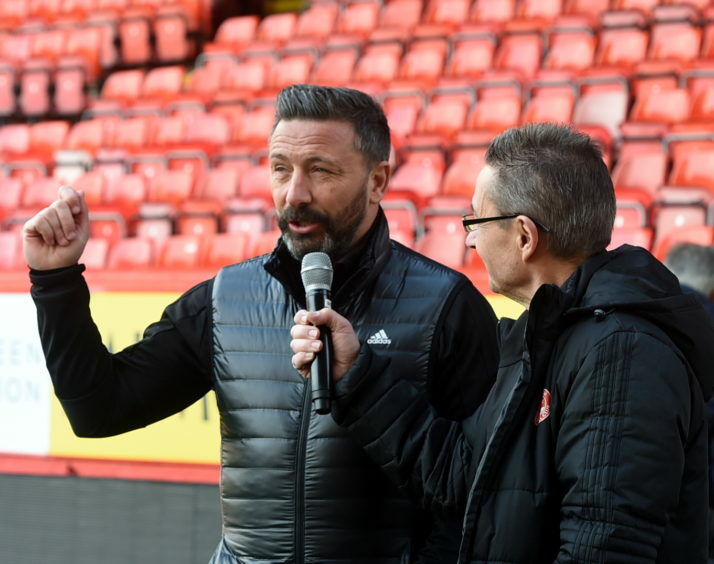 The Dons opened the Richard Donald Stand to let fans in to watch manager Derek McInnes and his coaching staff work with the players ahead of Wednesday’s Premiership encounter with Motherwell. 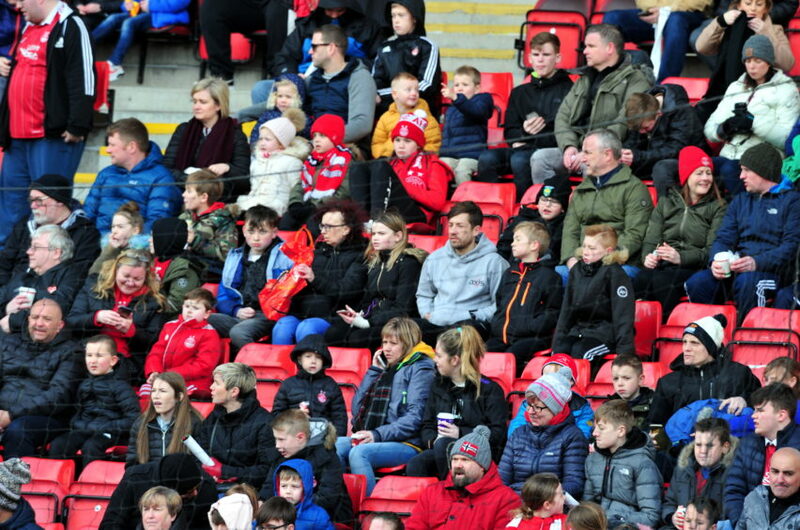 The open training session offered a rare chance for supporters to see their side behind the scenes as Aberdeen prepare for their final home game before the split on Wednesday. 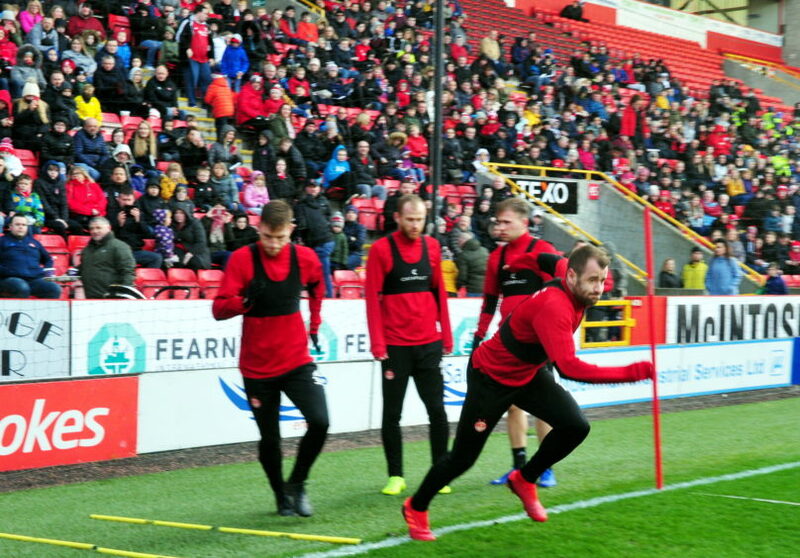 Despite opening the doors of Pittodrie to welcome fans in the Dons boss and his players are hard at work in trying to secure a top-three finish in the Premiership and with it a place in next season’s Europa League. 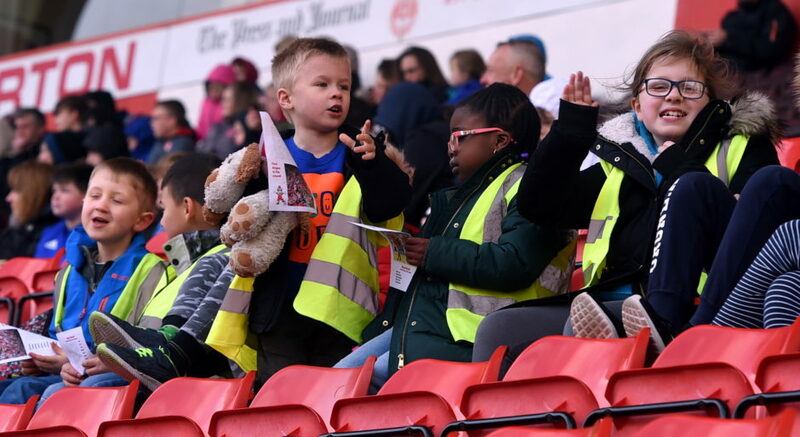 The Dons dropped to fourth on Saturday when they lost 2-1 at Hearts, with Kilmarnock leapfrogging Aberdeen thanks to their 5-0 demolition of Hamilton.